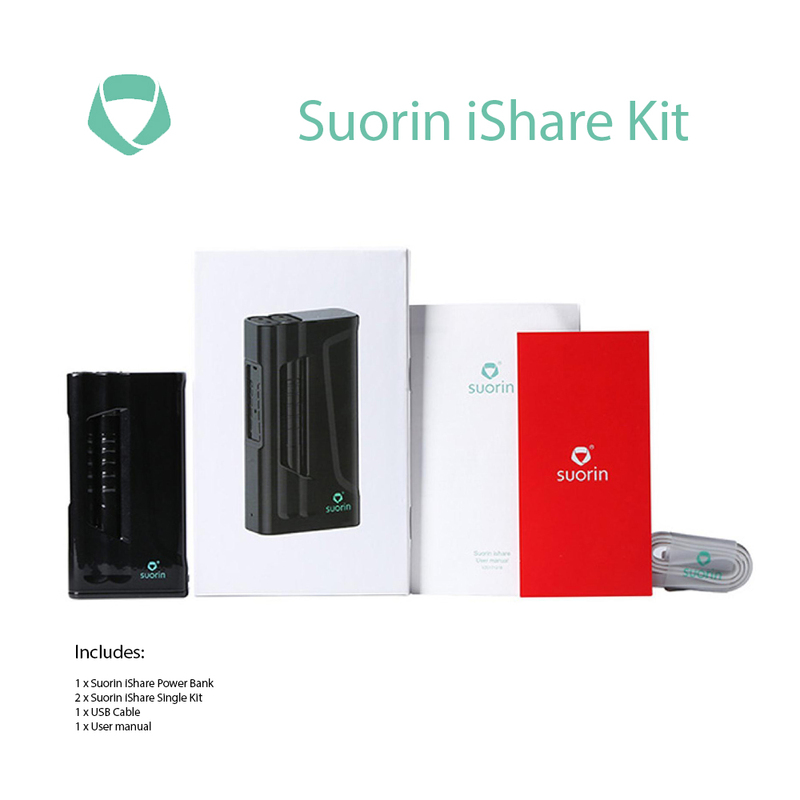 Suorin iShare starter kit with the power bank that has the exchangeable twin vaping pod system in one kit. 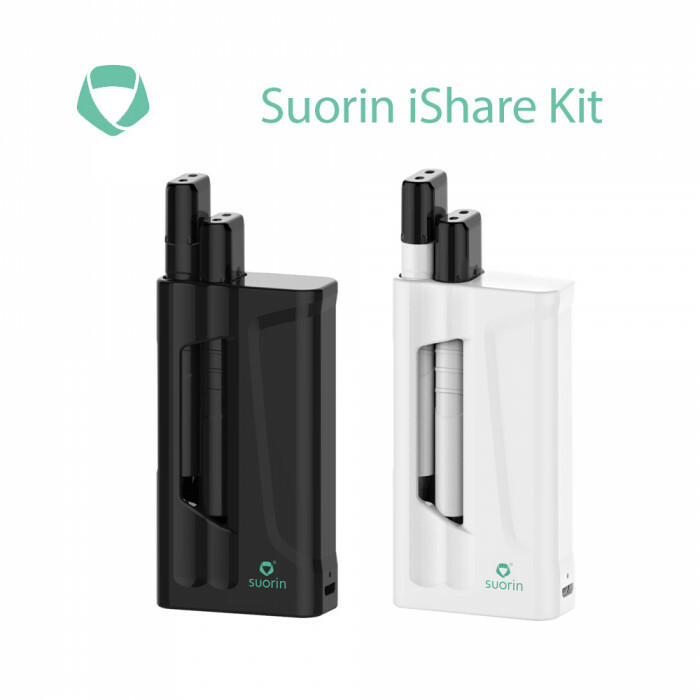 Features the 1400mAh power bank and each 0.9ml cartridge (the total capacity 1.8ml) that the Suorin iShare is the ultra portable compact kit vaping. 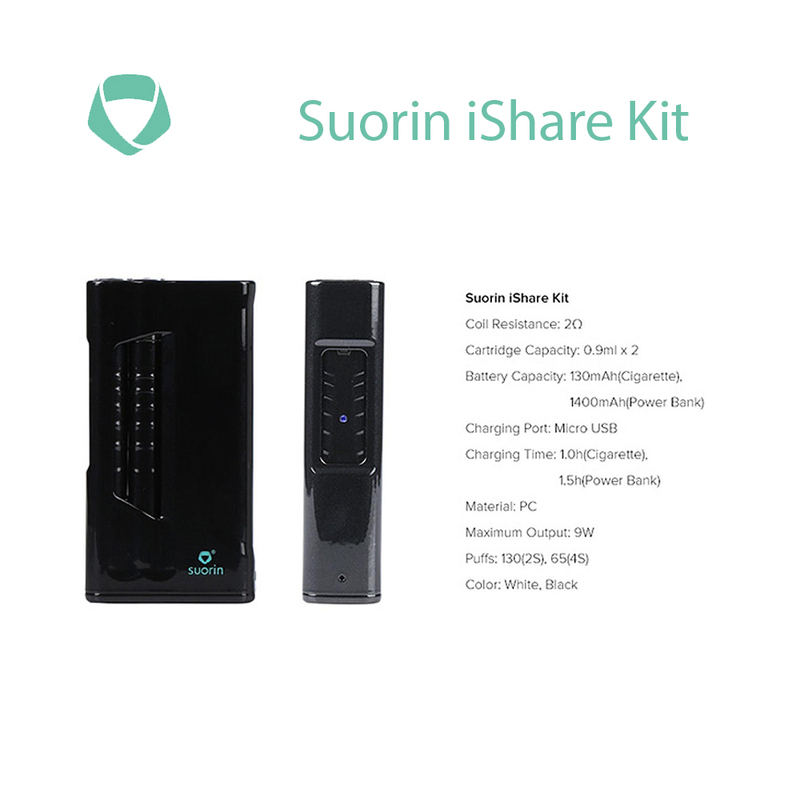 The iShare Single Battery with the build in 130mAh battery can meet your daily need. 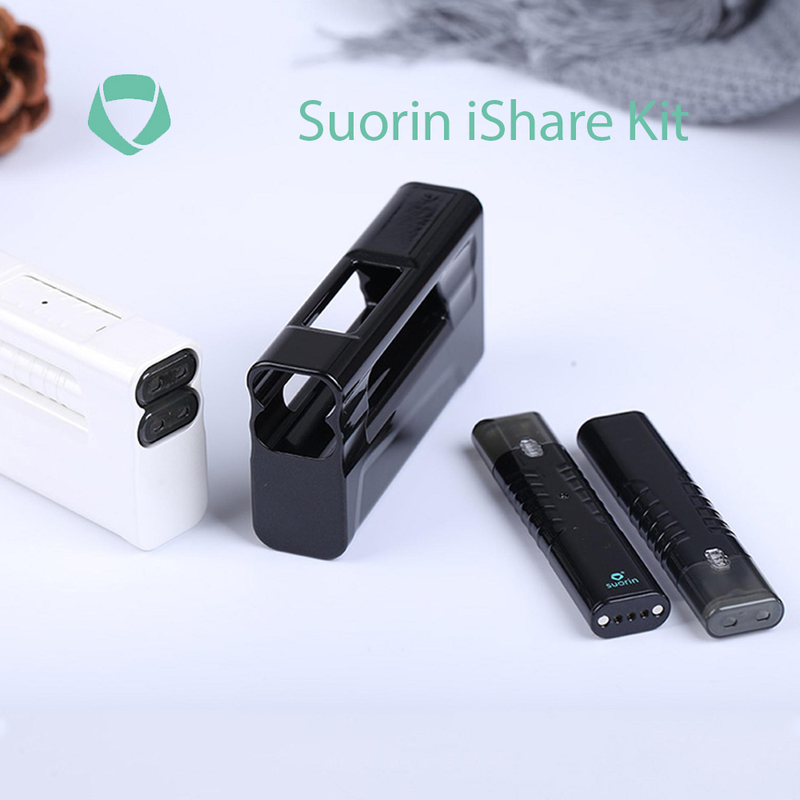 Build-in LED light showing real time working status. 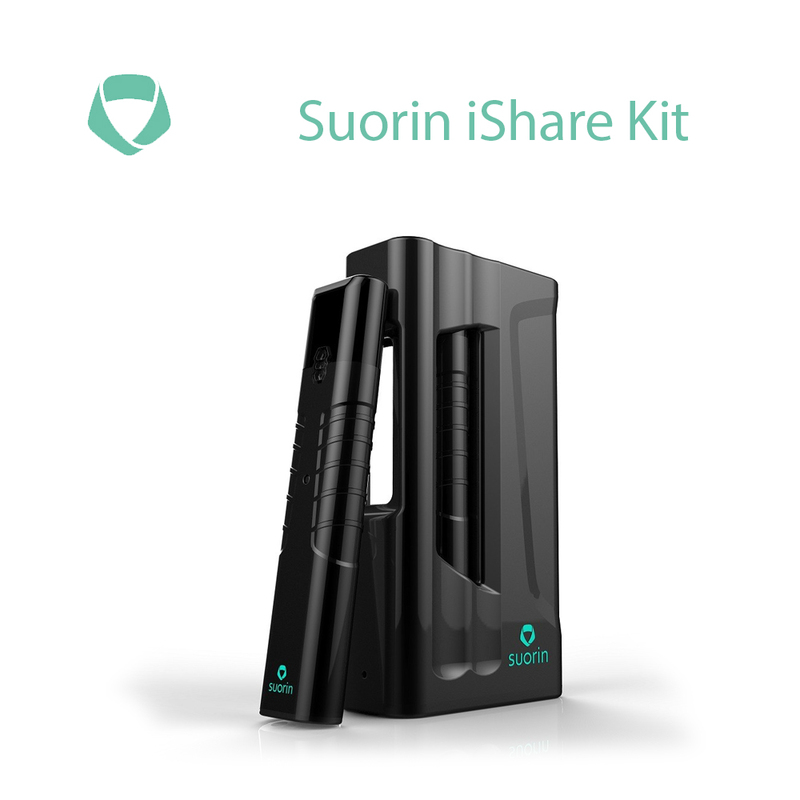 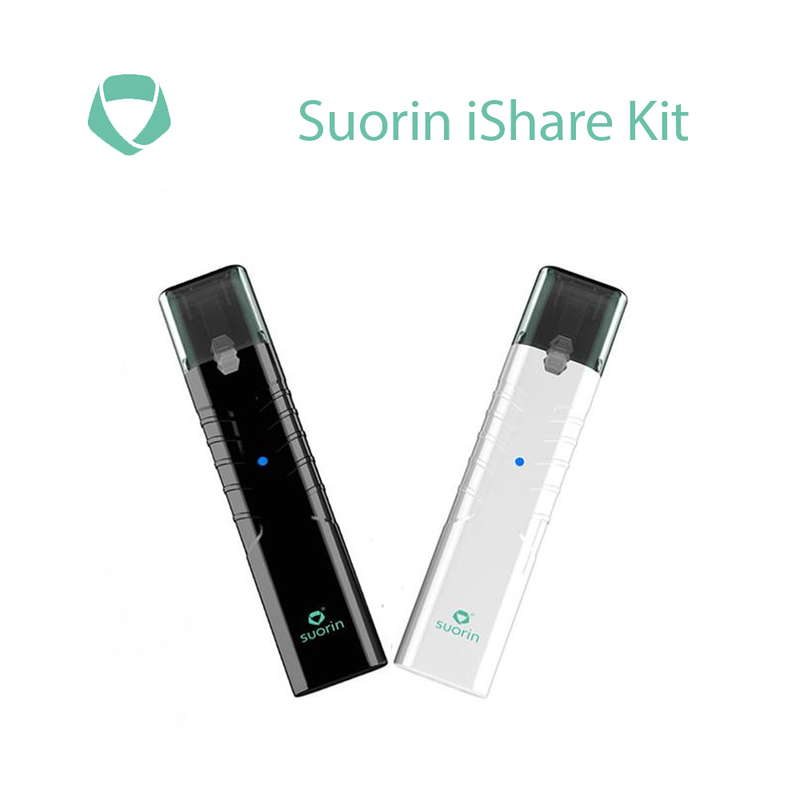 Mean while with its compact size, you can carry the high quality Suorin iShare full kit anywhere.